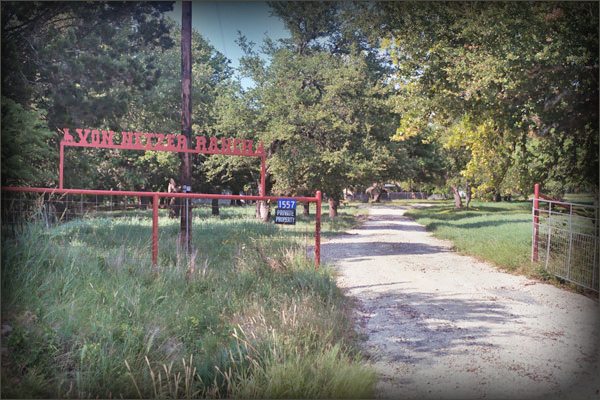 The present-day von Netzer Ranch dates to 1850 when the original tracts were homesteaded by German settlers. 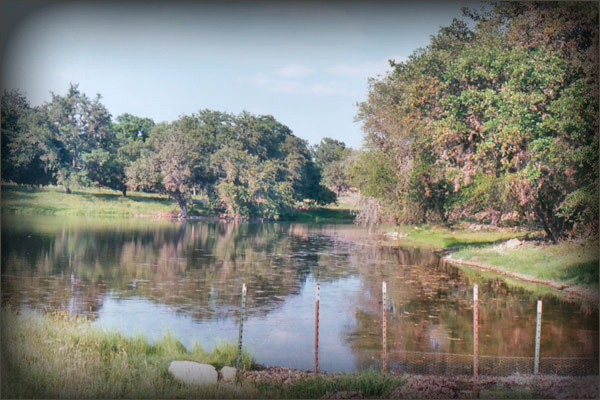 George von Netzer, who immigrated from Germany in 1923 with a dream to own a "Texas ranch," acquired the ranch in 1949. 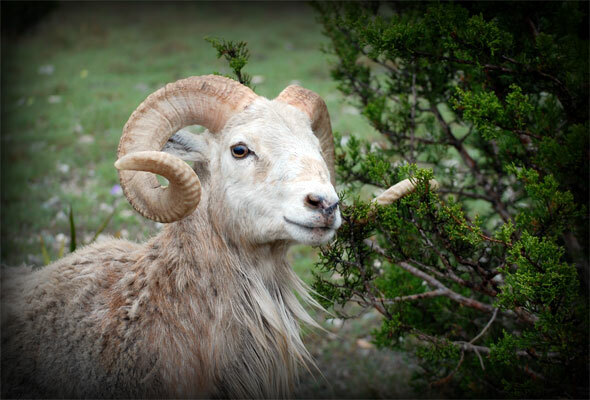 He operated it as an angora goat, sheep and cattle operation until his death in 1980. 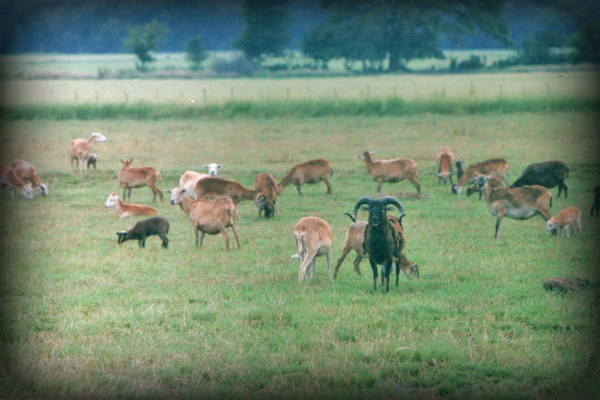 His son, Garet, continues to operate the ranch today, running registered Dorper, Royal White and exotic sheep, along with an aggressive wildlife management program. 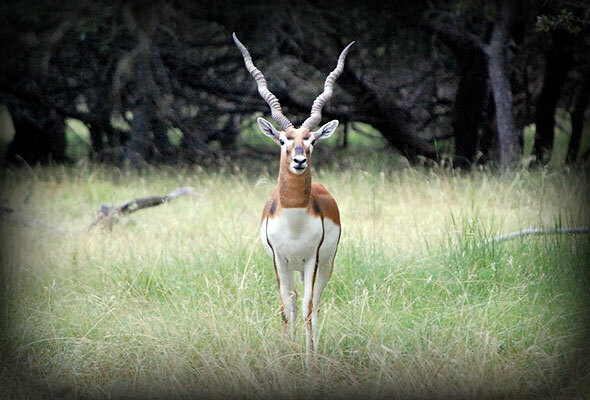 Garet has received both conservationist and Texas Forest Service awards for his conservation and wildlife practices. 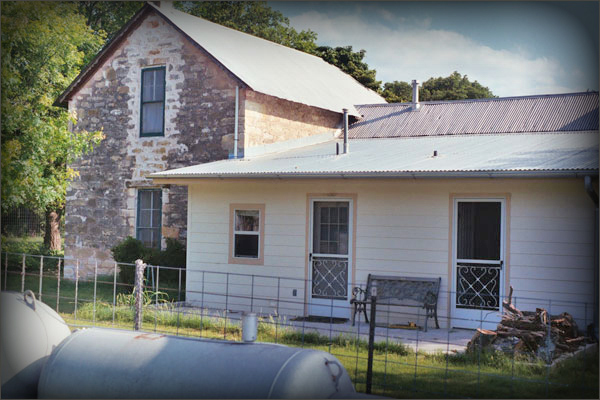 The ranch house has been renovated and restored but is the same home built by German settlers. 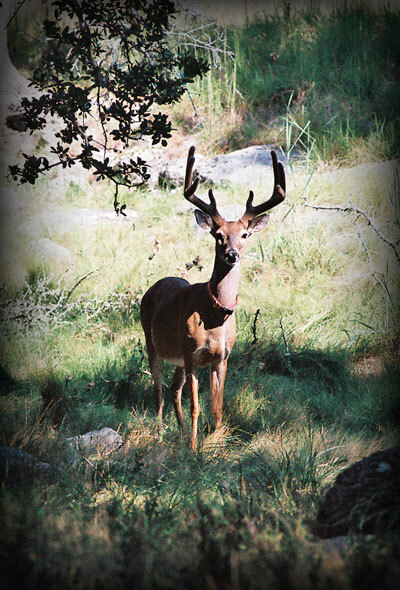 The two-story rock portion of the home, the original home, provides quarters for hunters. 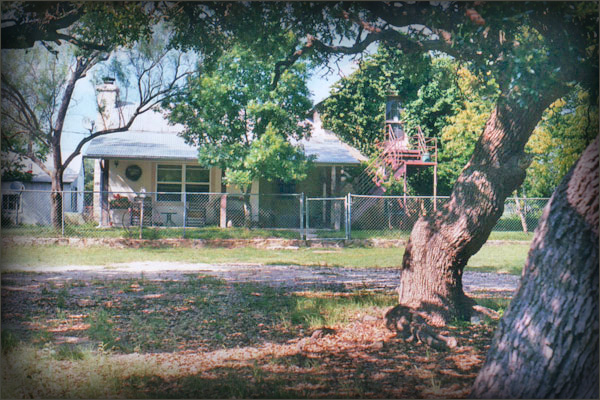 The "newer" portion of the home, added later with a fireplace usually crackling with oak logs in the winter time, was constructed in 1890. 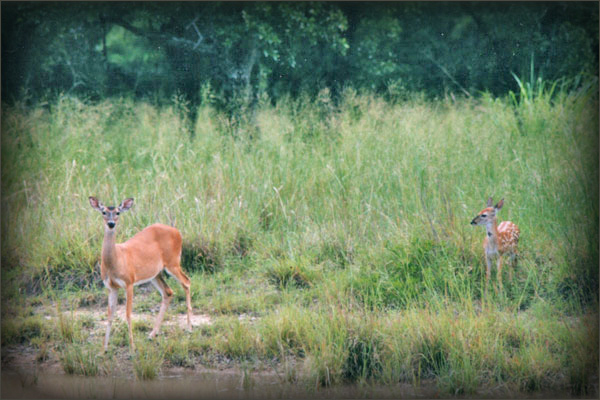 Out buildings and corrals are typical of what is found on working Texas ranches. 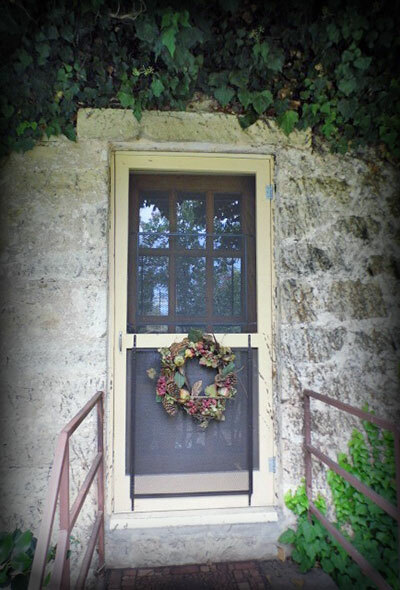 This is the entrance to the upstairs portion of the home where guests hang their hats while visiting the ranch. 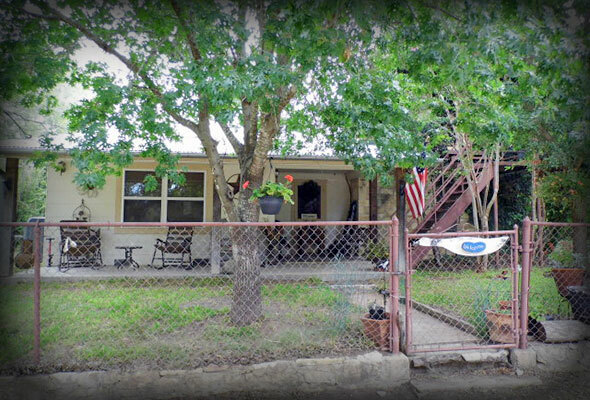 This view is of the upstairs accommodations. 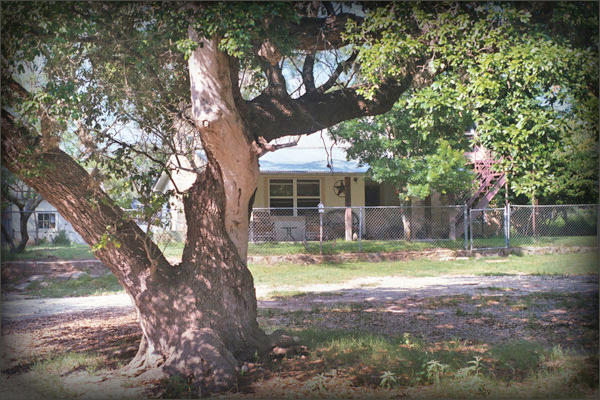 This is the ranch house where Garet von Netzer was raised and continues to serve as the headquarters dwelling. 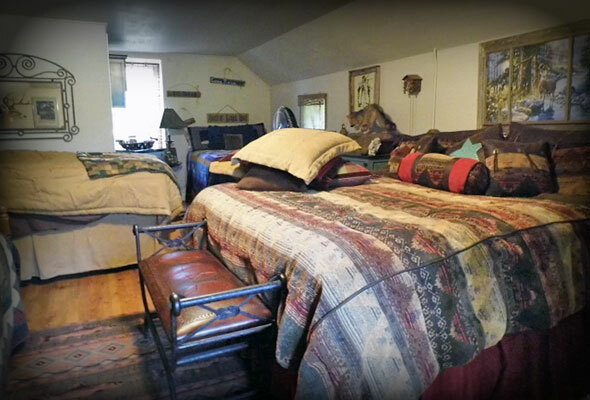 Accommodations for hunting guests are located upstairs in the rock portion of the home that was built in 1860 as the first dwelling for the original German settlers. 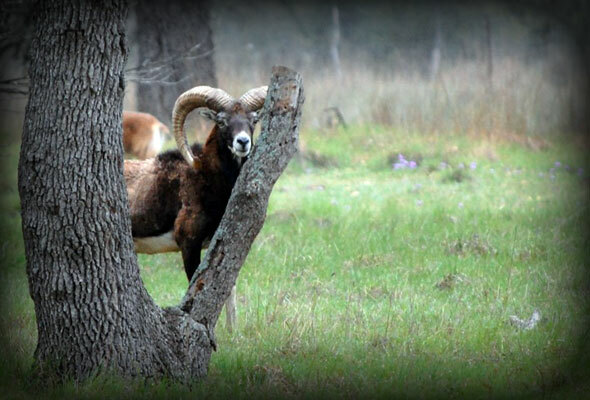 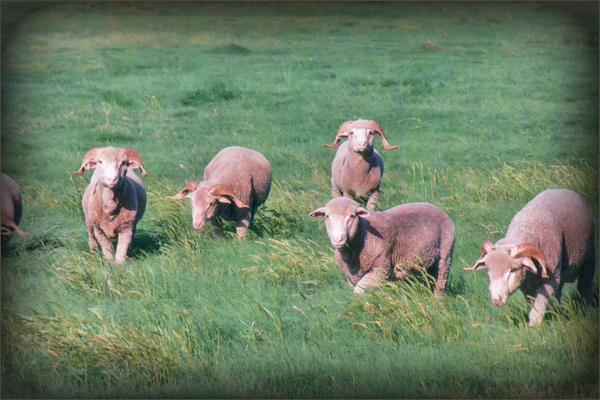 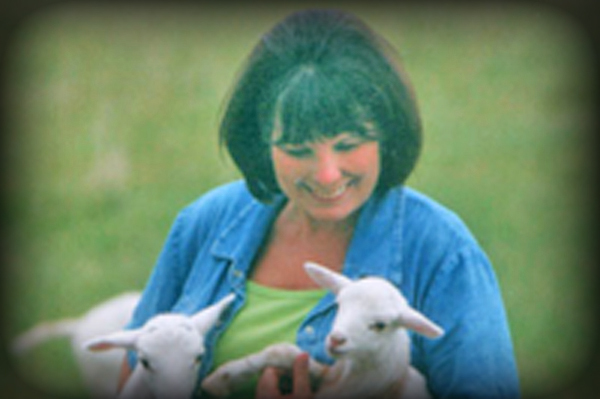 The ranch also has a registered full-blood Dorper sheep herd. 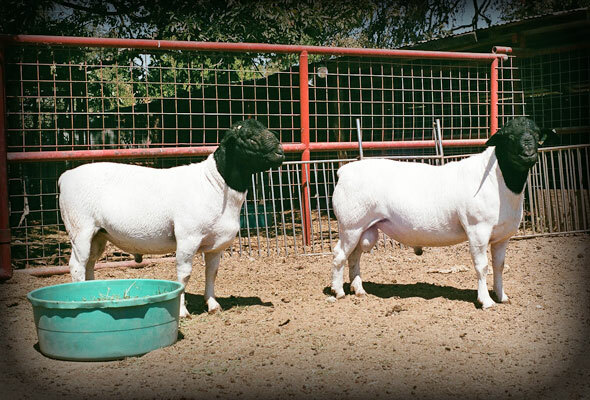 These 2 rams are yearlings and display the quality genetics in the ranch's herd. 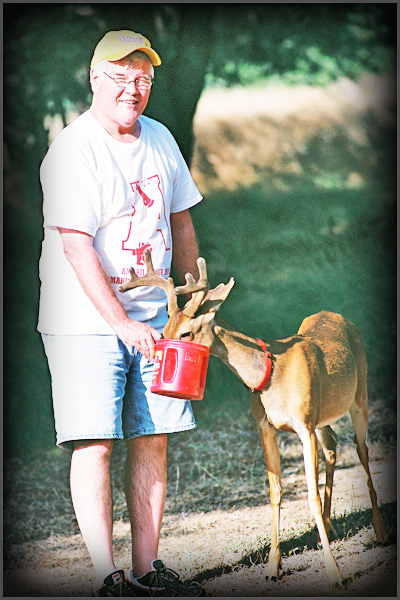 Mirk and "Harper" have become good friends. 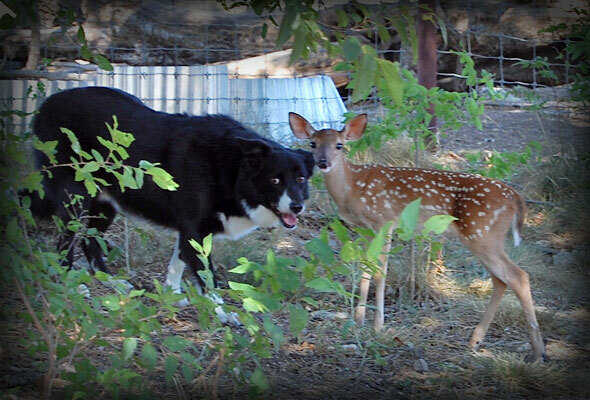 Ranch owner Garet von Netzer bottles a little orphan buck fawn found on the side of the roadway near the ranch as resident Border Collie Mirk keeps watch. 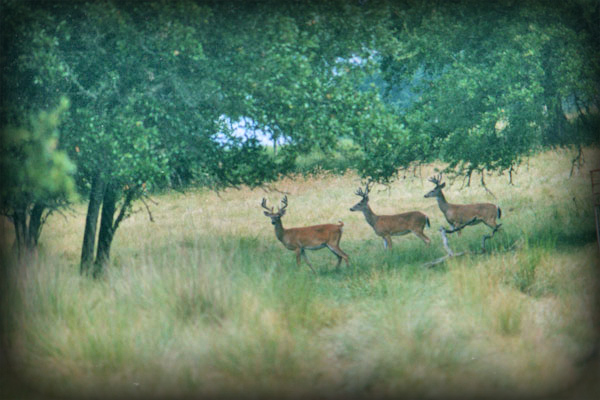 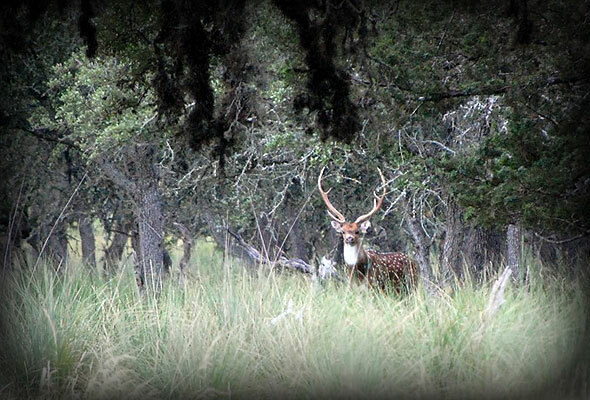 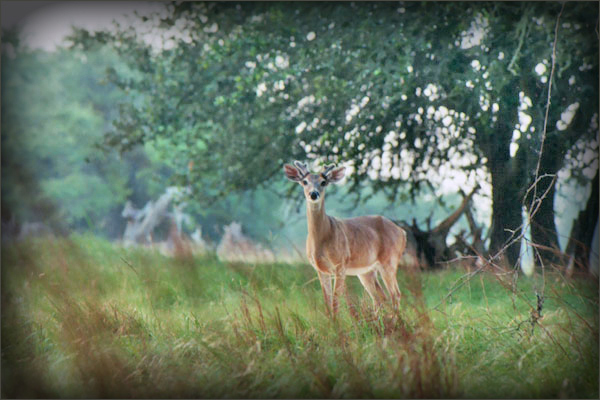 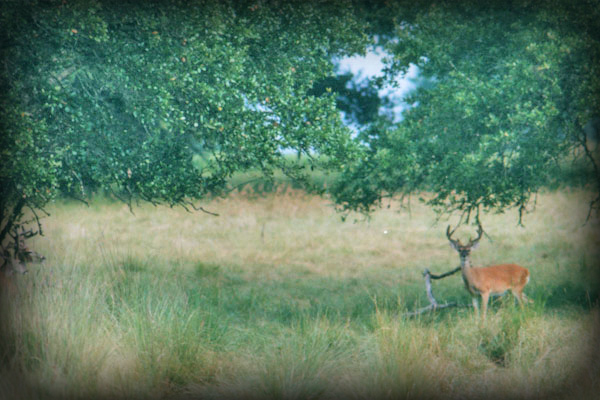 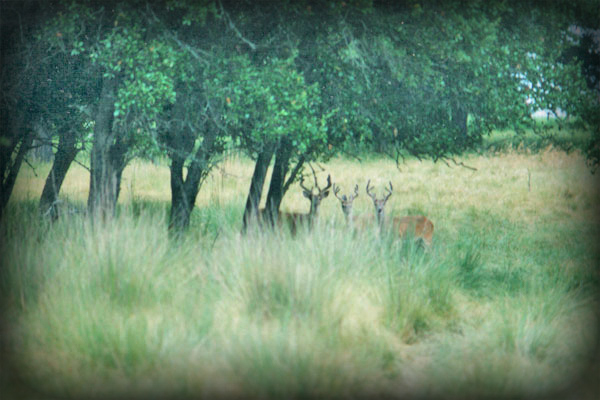 This is one of the free-ranging axis bucks on the ranch. 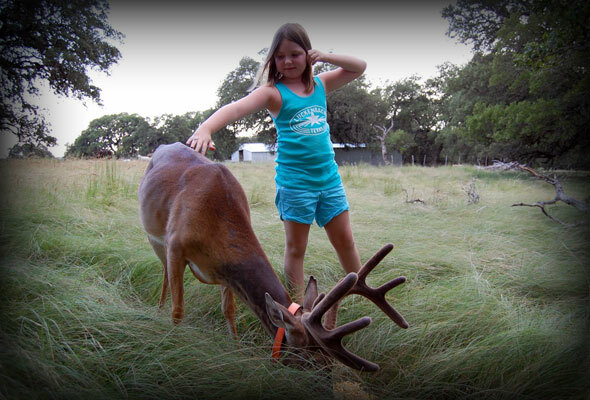 Ella Shumaker, 7, is a family friend who is also friends with Parker. 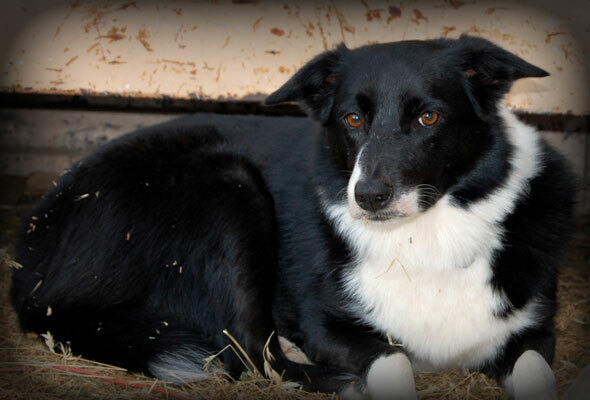 Mirk, a Border Collie born in England, lives to work sheep on the ranch. 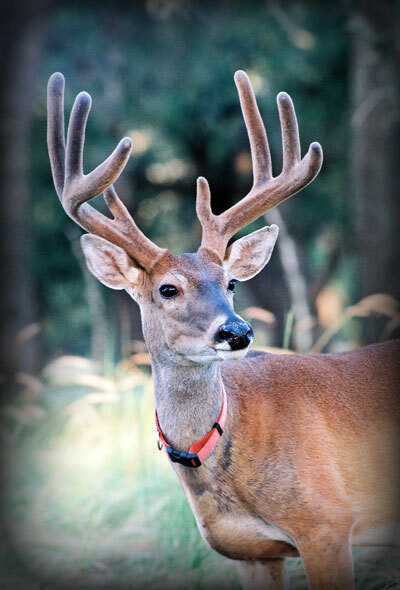 Parker is a 4 1/2-year old whitetailed deer raised on a bottle after its mother was killed by a vehicle on the road. 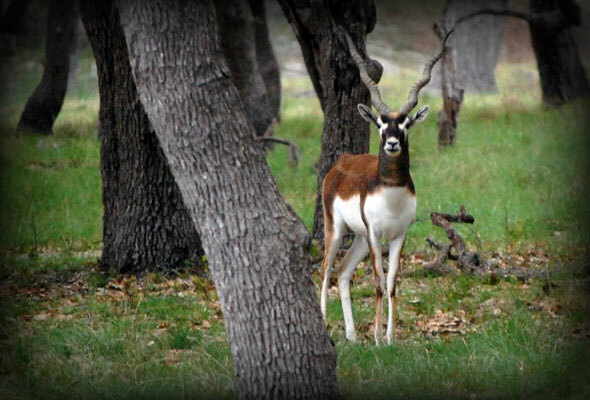 He was released to the wild but stays on the ranch. 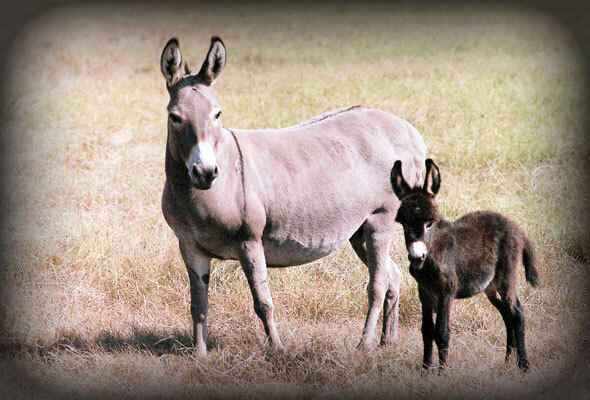 The ranch has several donkeys used as guard animals for its different flocks of sheep. 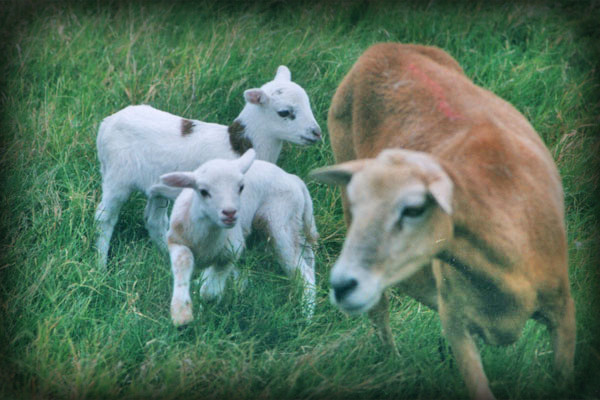 This new mother proudly shows off her baby born in early August, 2010. 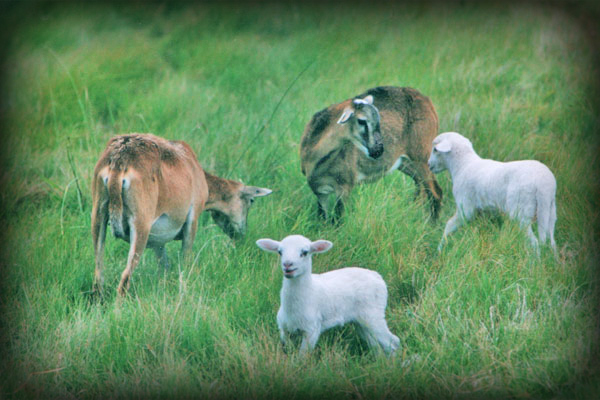 It too, one day, will become a guard animal protecting the sheep from predators. 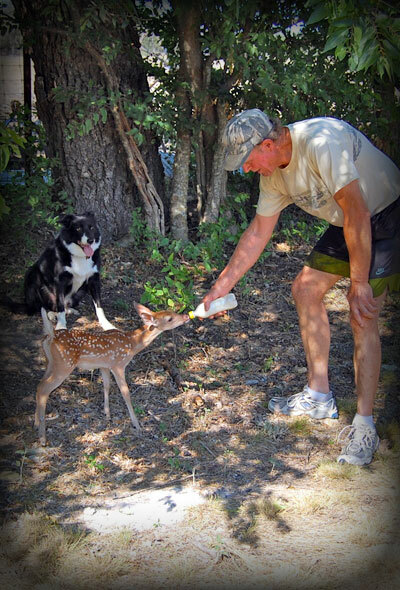 Family friend Danny Andrews of Plainview provides lunch for Parker, the resident orphan whose mother was killed in a highway accident. 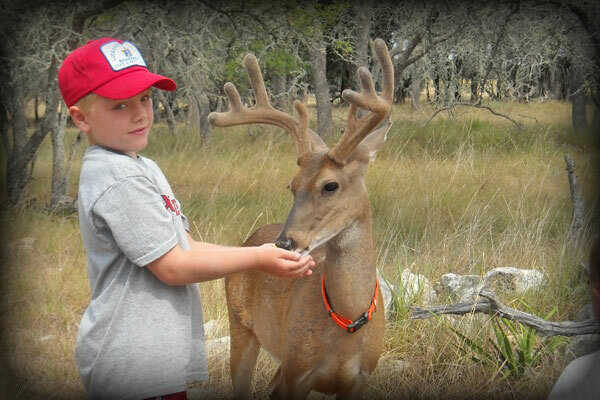 Brandon von Netzer, 8, feeds the ranch's resident pet deer, Parker. 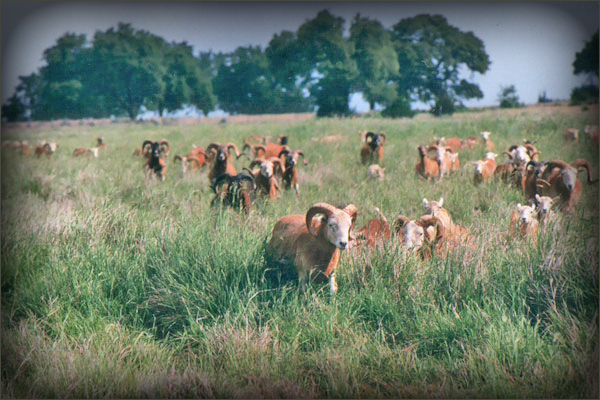 Brandon is the grandson of ranch owner Garet von Netzer. 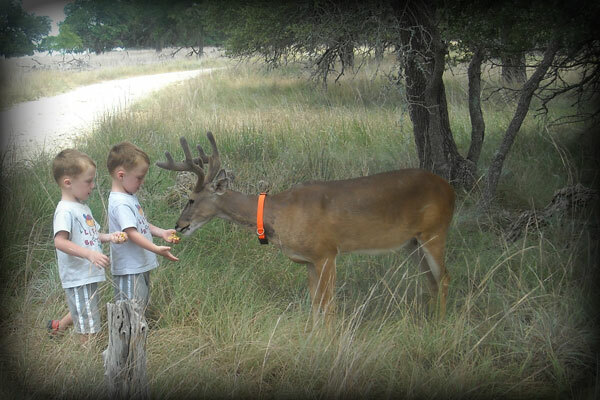 Bristol and Brodie von Netzer, 3-year-old grandsons of ranch owner Garet von Netzer, get to feed pet buck Parker.